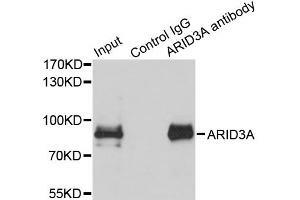 Western blot analysis of extracts of various cells, using ARID3A antibody. 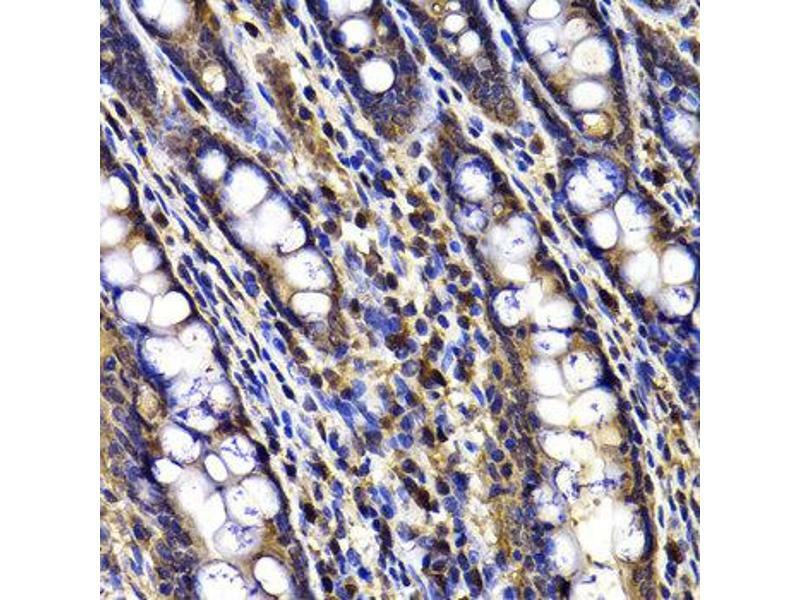 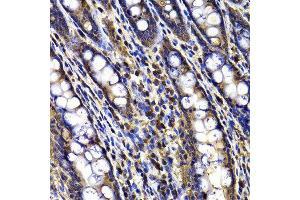 Immunohistochemistry of paraffin-embedded rat ileum using ARID3A antibody at dilution of 1:100 (x40 lens). 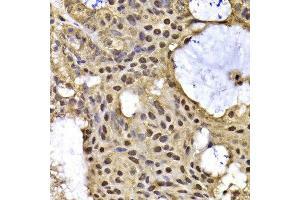 Immunohistochemistry of paraffin-embedded human oophoroma using ARID3A antibody at dilution of 1:100 (x40 lens). 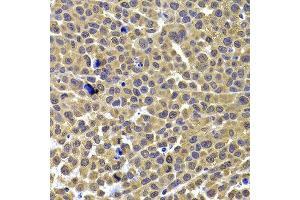 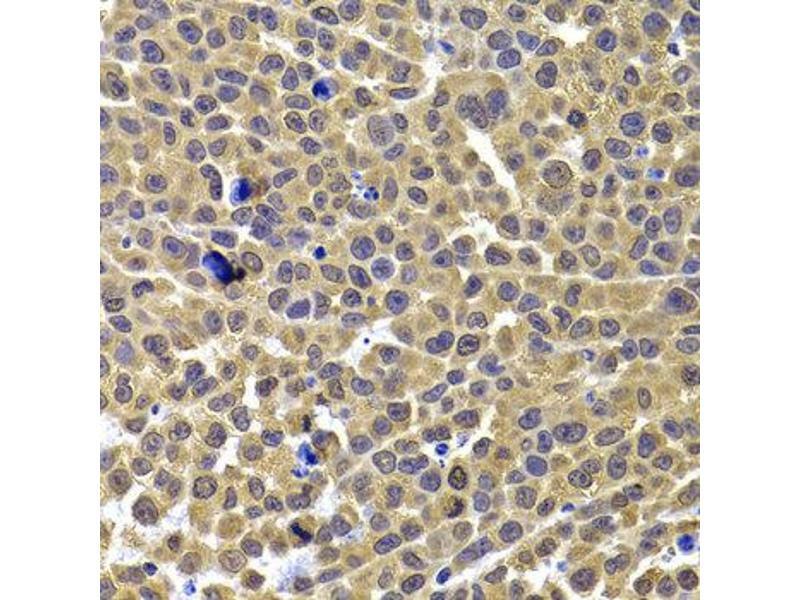 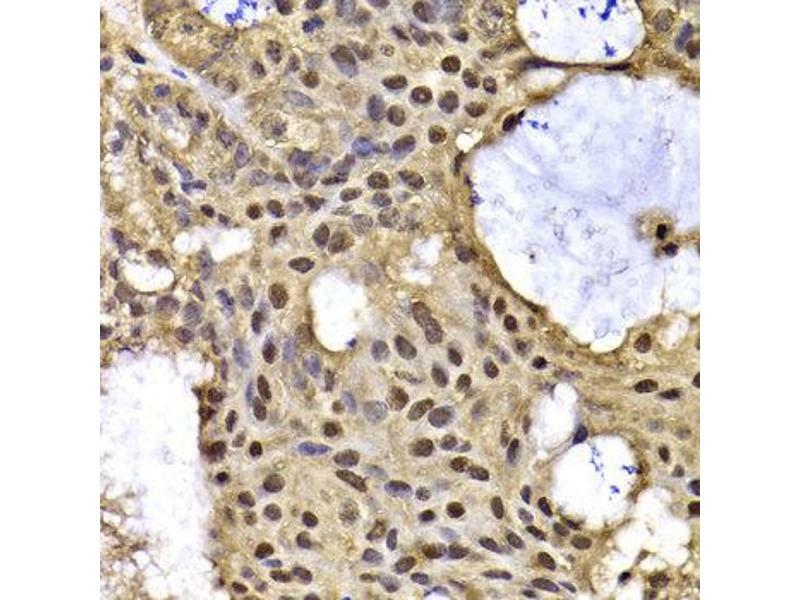 Immunohistochemistry of paraffin-embedded mouse cancer using ARID3A antibody at dilution of 1:100 (x40 lens). 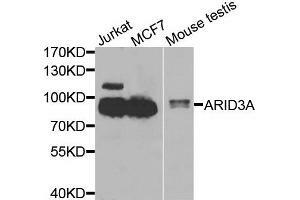 Immunoprecipitation analysis of 150ug extracts of MCF7 cells using 3ug ARID3A antibody (ABIN2736301). 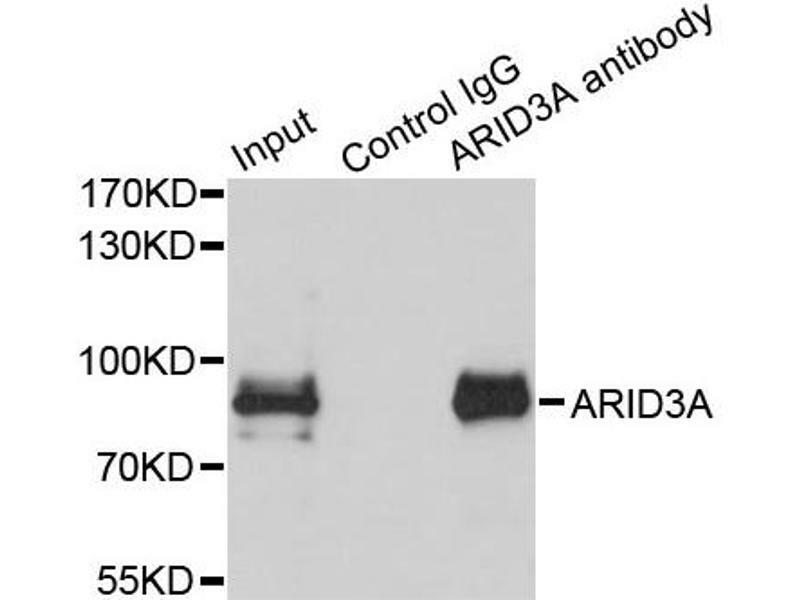 Western blot was performed from the immunoprecipitate using ARID3A antibody (ABIN2736301) at a dilition of 1:500. 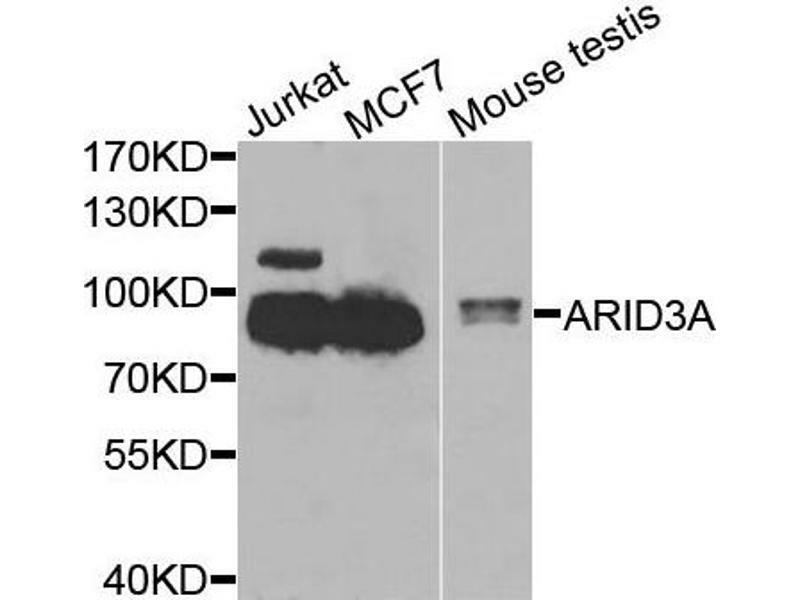 Attributs du produit Rabbit Polyclonal to ARID3A.